Being a parent can mean putting aside your own interests in favor of your kids’ activities. When it comes to home design, having a family can sometimes mean you have to ditch some of your dream elements to make sure there’s enough room and functionality for children as well as adults. But just because you have kids doesn’t mean you should write off entertaining for good. 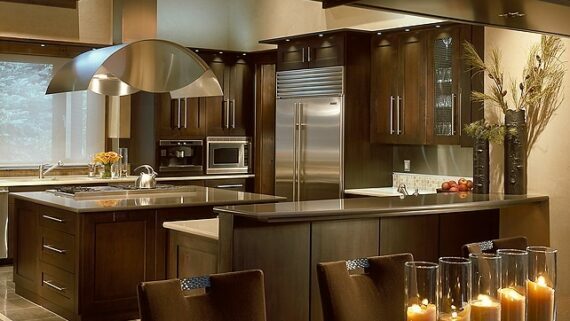 In fact, by planning a kitchen around a day and night theme, you’ll be able to have the functionality for your family by day, while offering style by night for entertaining your friends. See how. 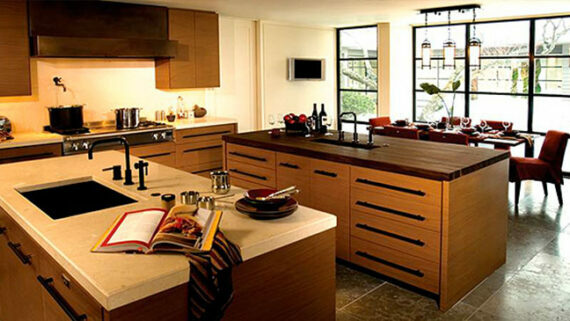 One of the easiest ways to take a kitchen from day to night is to make sure that there’s ample room for storage. During the day, a well-stocked wine refrigerator keeps your vino out of the wrong hands so you can crack it open while entertaining. By the same token, plenty of storage for kids’ dishes and utensils mean that you don’t have to worry about silly characters and kids’ snacks cramping your style. By making sure your storage areas offer plenty of compartments, you’ll be able to keep your kitchen completely organized – day or night. Opting for sleek fixtures in your kitchen serves two purposes – both of which will help you create a family kitchen and an entertaining space in one. During the day, sleek fixtures are easy to keep clean, especially when little hands can make big messes. At night, the same sleek fixtures look perfectly on par with an entertaining atmosphere, thanks to a high design even with low maintenance. New hands-free faucets are ideal for both keeping sticky messes away from the fixtures as well as making entertaining a snap when your hands are full. 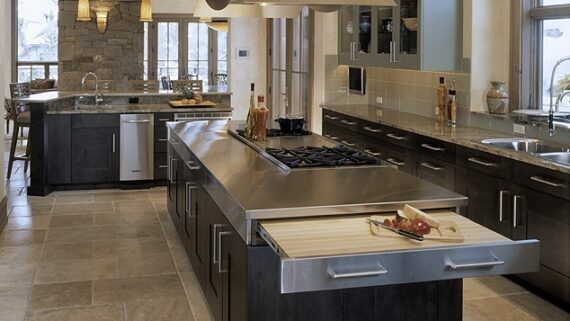 If you’re still designing your dream kitchen, talk to your designer about an open concept flow. Linking your kitchen to other areas of your home – particularly the dining and/or great room – makes for a perfect multi-use space. When you’re with your family, an open concept kitchen allows you to remain part of the goings-on, even when you’re cooking. Whether game night or homework, your entire family can be in the same place at the same time. When entertaining, the open concept flow is ideal for mingling with guests and making sure you don’t miss a moment just because you’re prepping the food and drink. 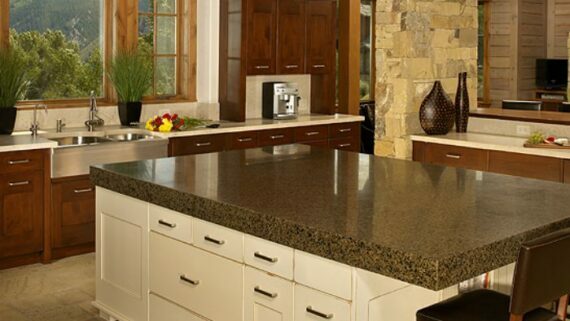 Don’t forget to consider putting in a large island in your kitchen. 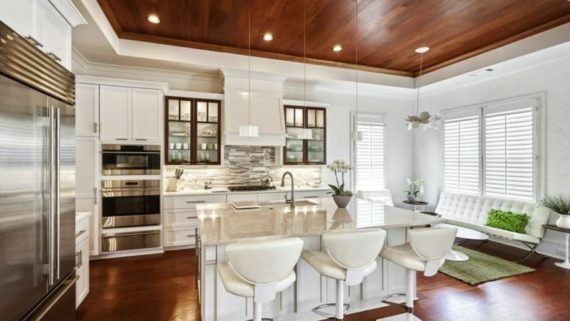 While other counter space is great, you’ll find that it’s common for your family to congregate around the island for everything from eating to food prep, homework and a late night snack. For entertaining, the island becomes the ideal place to prep and serve your guests, making it a truly multifunctional addition. 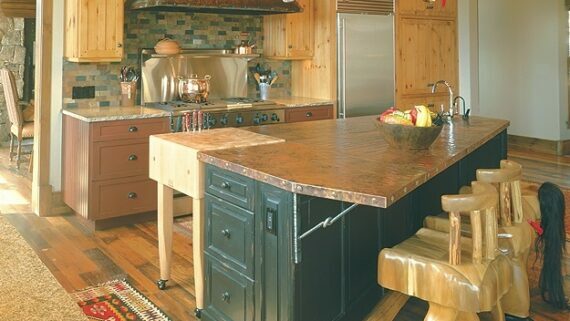 What’s more, you can add extra storage and seating to an island, which is perfect for cramped kitchen designs. Whether you store away Grandma’s china or use the extra space for homework supplies, you’ll love the extra functionality of planning for an island in the kitchen. Maintaining your love of entertaining can seem difficult when your kitchen is used more often for mac and cheese rather than cocktail hour. But by making some smart design decisions in the process, you can create a dream kitchen that allows you to have the best of both worlds. With a family-style room for gathering during the day and the ideal entertaining space for having guests over in the evening, you don’t have to choose just one lifestyle to lead.